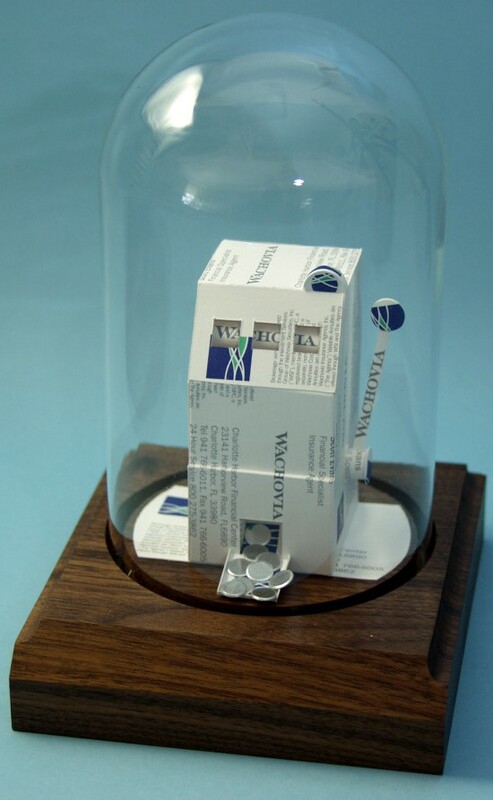 You’ll hit the jackpot when you give this personalized sculpture that is made with about 20 business cards. Your recipient will never lose with this unique one armed bandit! Look at the detail! See the business name in the windows and the coins in the slot? If you’re looking for distinctive gifts for slot machine players or an award for anyone in the casino or gaming industries, they will appreciate the slot machine mounted on a walnut base under glass. It makes a great incentive award for anyone who has hit the jackpot in sales or fundraising. 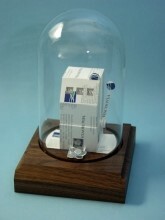 For other unique gifts made from business cards, try Dollar Sign, Patriot Eagle, Stock Ticker, Old Phone, Scales of Justice or Hot Air Balloon. We have 60+ gift ideas in the sidebars to the left and right!